Gift Cards Available now at a reduced price for a limited time. 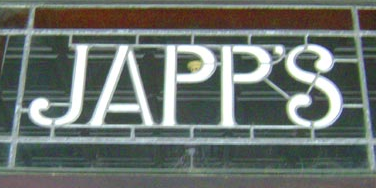 Click Here to purchase through our eBay store! 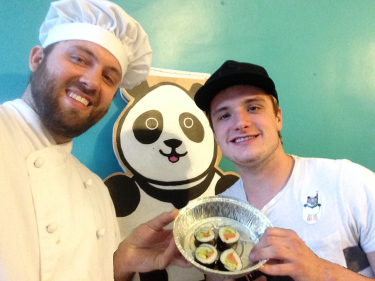 Sushi rolling with the stars! Josh Hutcherson from The Hunger Games! 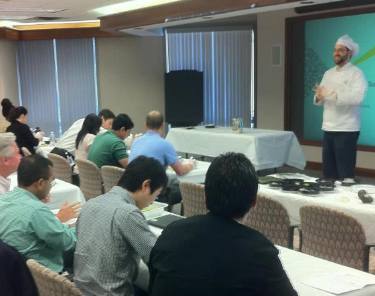 Proctor and Gamble, Christmas Sushi Making Party 2011 at P&G Twin Towers building with 30 guests. 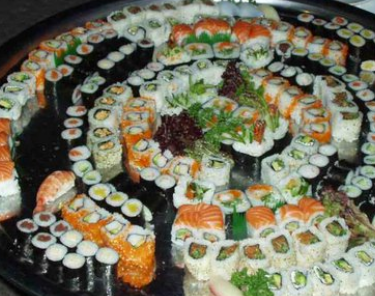 P&G Sushi Rolling Team Building Activity 2012 at Clovernook Country Club with 20 guests. P&G International Interns Orientation Catering for 10 guests. 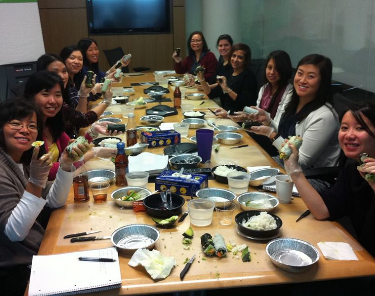 Aspire Asian Sisters Sushi Rolling Team Building Party 2013, P&G Employee Meeting Catering 30 guests more than three times! 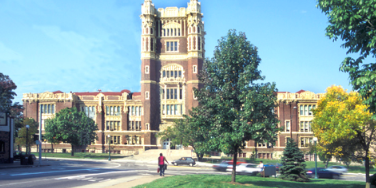 And we love going to P&G, especially the amazing twin tower atrium! 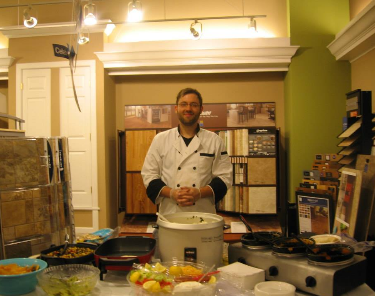 "Chef Dan made it easy for us to feed all of our guests by showing up with an array of foods from around the world! 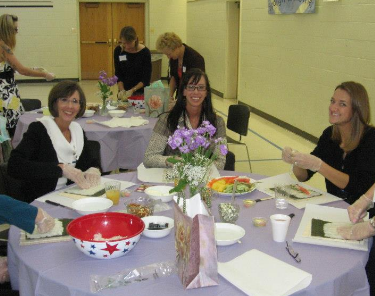 He set them up before the event, they looked great, and were ready to eat!" 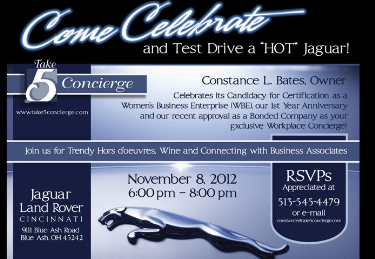 Jaguar Land Rover Blue Ash Catering for Business Meeting with 40 guests. 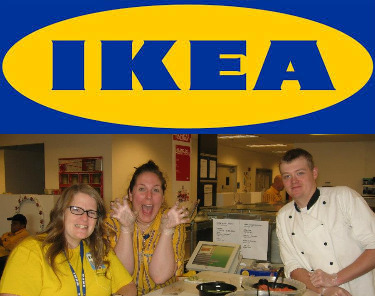 IKEA West Chester (a great place to do some shopping while on break) We have had so much fun at IKEA! 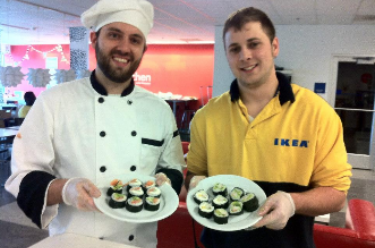 From Sushi and Indian buffet for over 200 employees, we also had 2 sushi rolling parties with over 100 employees who were enjoying their Employee Appreciation Day! We have also returned to IKEA for the "12 Days of Holiday" event where we did Holiday Cooking Parties and Candy Making Classes with their over 200 employees throughout the day! We are always excited to return to IKEA so that we can do some more shopping on our break! 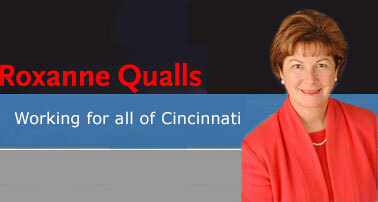 Former Mayor of Cincinnati Roxanne Qualls said that she really enjoyed our Bolly Bears in home private cooking party with her friends in Hyde Park! 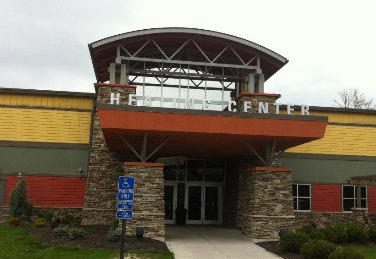 The Health Center of Cincinnati had a wonderful "Under the Sea" themed volunteer appreciation day with over 400 volunteers in attendance who enjoyed an event with The Newport Aquariums penguins and alligators, as well as a roll your own sushi booth set up by Sushi Bears! 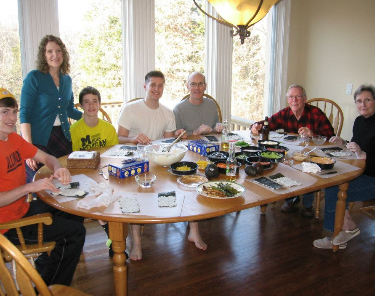 Unfortunately the penguins were too busy performing to come eat any of the sushi! 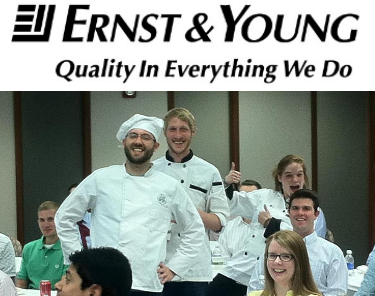 Ernst & Young on 4th and Walnut Cincinnati had some clients in from Asia, so the Cultural Diversity Event was not all business, but also fun with a 50 person sushi rolling party where everyone made their own lunch! We also catered a full buffet for those who wanted to try some extra options! 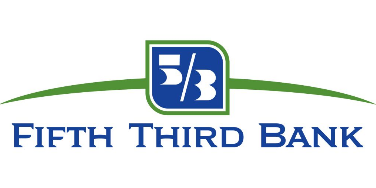 Fifth Third Bank regional in home party with 25 guests who ate the sushi buffet and rolled their own sushi as well! 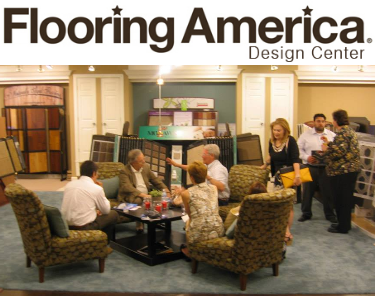 Flooring America Dayton hosted 80 International Interior Designers for a business meeting where we catered 5 tables of cuisine including Sushi, Indian, Mexican, and Italian, as well as good old American apple pie and Ice Cream for dessert! 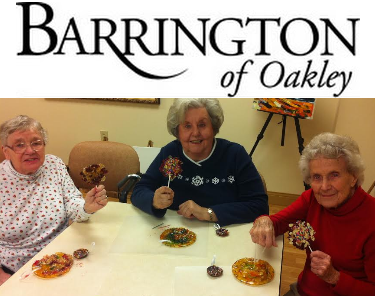 The Barrington of Oakley and West Chester assisted living homes are a regular stop for Chef Dan, we visit them each every other month, and have for the past few years! 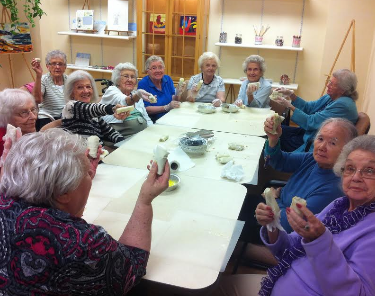 Today we still put together fun cooking activity parties for their residents! 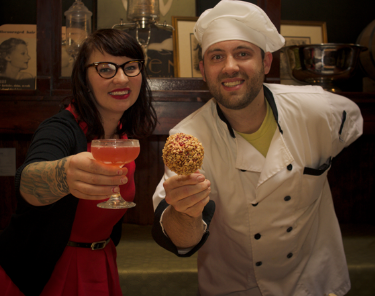 Japps Cocktails and Candy Classes are a hoot with Mixologist Molly Wellman, and Chef Dan where over 200 guests came to celebrate the holidays over the past 4 holidays from Thanksgiving, Christmas, Valentines Day and St Patricks Day! We had so much fun making and tasting cocktails and making candy on the spot with the 60 guests per party! 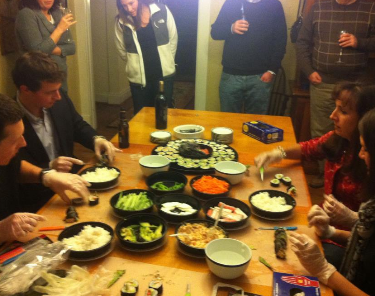 University Of Cincinnati loves adding Sushi Rolling to the curriculum since we have had Sushi Rolling Parties for the College of Nursing Students, Turner Hall, Dabney Hall, Siddall Hall, and Calhoun Hall. 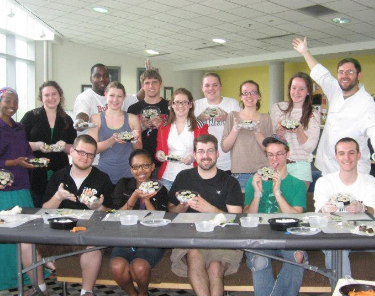 We have taught totals of hundreds of students how to make sushi at U.C. 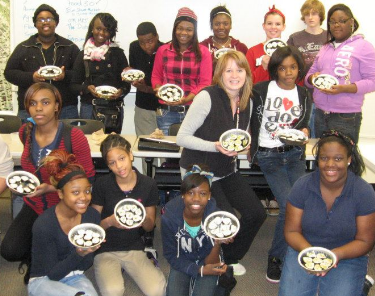 between more than 5 visits to their classrooms, and their students have received an A Plus every time! 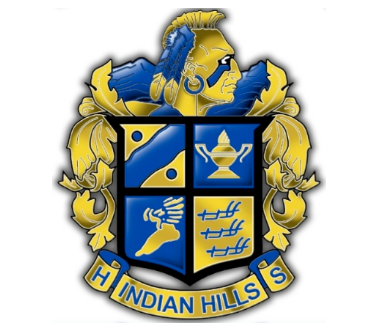 Hughes High School has had a special Sushi Rolling 101 and Indian Cooking in the Class events where we taught over 30 students how to make these ethnic dishes! 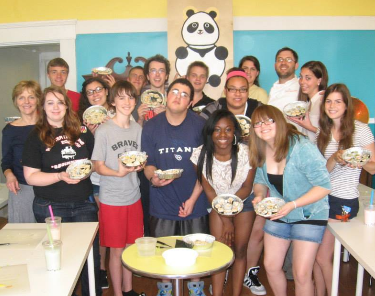 Indian Hills High School took a field trip to Sushi Bears for a Bubble Tea and had a Sushi Making party with 16 students just before school let out for the summer! 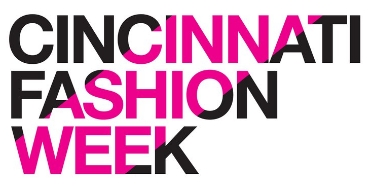 Cincinnati Fashion Week was a stylish affair at the Cincinnati Art Museum in Eden Park! Here we catered sushi and snacks! 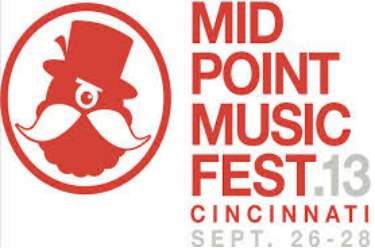 Mid Point Music Festival VIP Room! 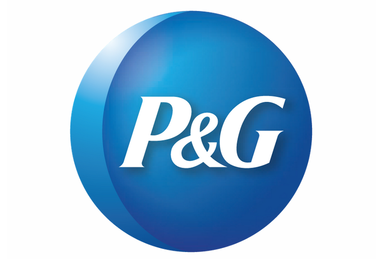 WOW, when Mid Point wants to treat their entertainers to a VIP Party they do it right, with a full open bar, a huge private lounge and dance floor, as well as free gifts galore including swag bags from P&G and hats and t-shirts to commemorate Mid Point, oh yeah, and a lifetime supply of Vitamin Water! We were also there to feed all of the VIP Musicians a huge buffet of Sushi, Indian food, and a giant Hummus and Pita Platter fully equip with Feta and Olives! 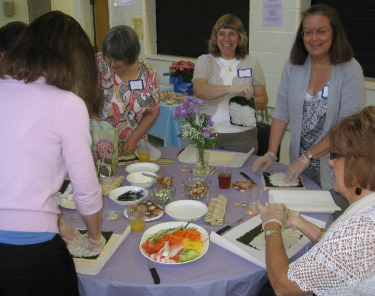 We have had a blast teaching families and their friends how to cook sushi, indian, and thai dishes in their homes for groups of 6-10 people! 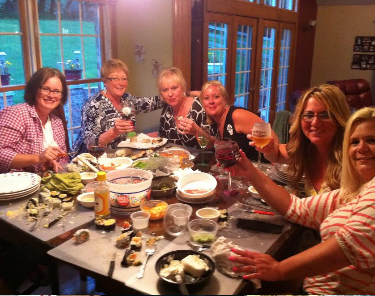 As of 2013 we have been to over 450 homes in the tri-state with our foodie fun! Bridal Shower Cooking parties have been all the rave, while the ladies bring their own drinks to our place, or we take the cooking party to them! 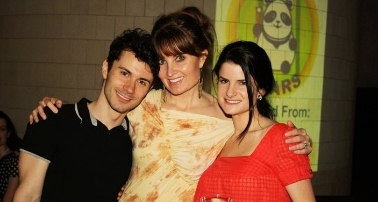 Our most recent bride to be was Elizabeth who chose a Pad Thai Bridal Dinner Party cooking lesson experience! 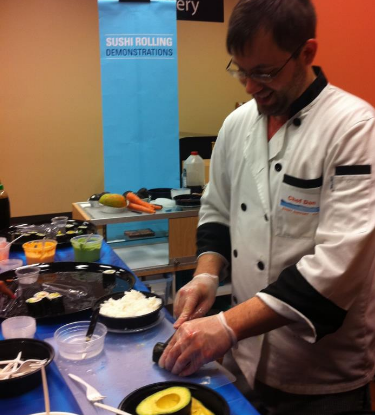 We have taught over 1,400 students at our cooking classes at Findlay Market how to make Sushi, Indian, Thai, and Cheese Making Classes since we started up in 2010! 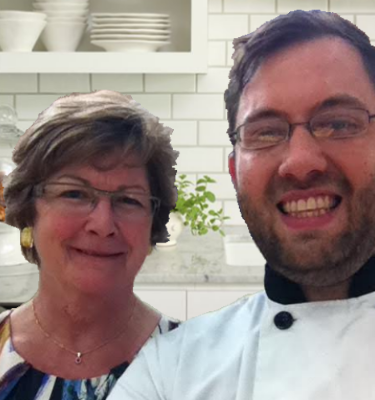 Our Clients have all been so wonderful to us, and we look forward to joining your teams again for another awesome foodie funday! Of course, we also want to add new clients to the list so please give us a call and let us know how we can help you perfect the next event your planning!